Looking to find the best headphones? We read the reviews so you don't have to. Compare headphones curated by our editor's & community to find the one that's best for you. Headphones allow you to enjoy audio from a range of devices in private by placing the speakers on or in the ear. For portable devices, headphones often offer improved audio quality and clarity over the built-in speaker. Many headphones feature designs that minimize the noise directed away from the ear to permit use in quiet environments. From your computer and home theater system to your smartphone or MP3 player, a good set of headphones are a must-have for anyone looking to get the most from their media. 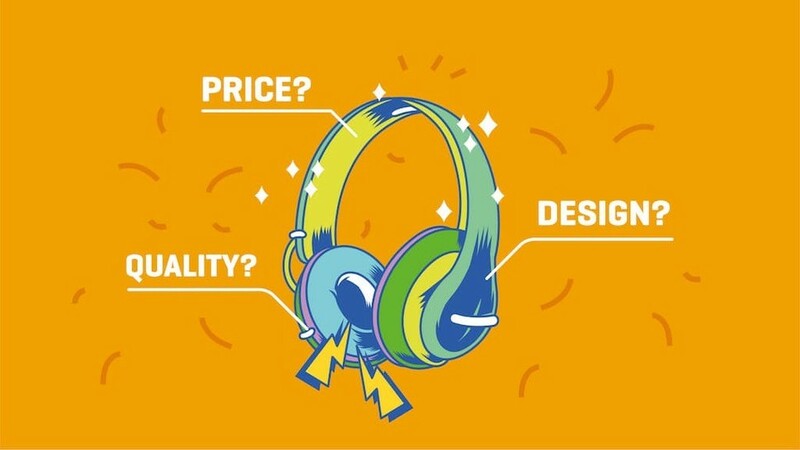 Before you can find the perfect set of headphones, understanding the basics of common designs and features is critical. This ensures that you are choosing the best set for your intended usage and listening preferences. While it might seem that the choice is only about comfort and appearance, there are some important sound characteristics of each design to keep in mind. These are small and often feature soft tips or ear hooks to keep them in place. They rest in the ear or insert into the ear canal. This makes them ideal for use in active environments, such as at the gym or on your morning jog. Unfortunately, their size also limits their ability to produce deep bass. The result is a flat sound with a lack of punch. Featuring foam pads or cloth pads, these headphones rest on the edge of the ear. This means that if you are cranking your favorite track, people nearby are going to notice. 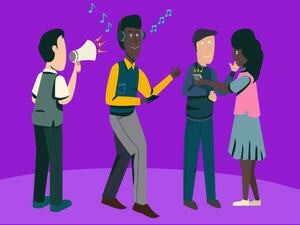 It also means that if you are using your headphones in a noisy environment that you are likely to hear the sounds around you instead of your music or movies. 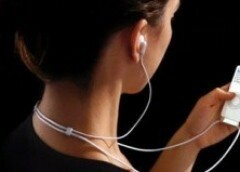 However, this design offer improved audio performance over many in-ear headphone designs. Also known as cans, these headphones rest on the side of the head; completely surrounding the ear. Depending on the model and design, these offer the best overall performance and sound isolation. In most cases, you can jam out or crank up your movies and no one will notice. However, these headphones are heavier, more difficult to carry in a bag or pockets and can create some comfort issues with long term use. Wireless headphones offer a tangle-free way to enjoy your audio. However, they come with a few trade-offs from traditional wired headphones. While the differences are shrinking quickly as technology improves, you should keep them in mind when deciding on a pair of headphones. Currently, the biggest considerations are audio quality and battery life. Wired headphones typically use the amplifier in your device to drive the speakers. If you have an audio device and a pair of wired headphones, you’re ready to jam. Wireless headphones require an audio receiver--most often Bluetooth or radio frequency--to pick up audio from your device or wireless adapter. This means batteries or a rechargeable battery pack are required. If your batteries die, you won’t hear a thing until you can locate replacements. In most cases, audio quality from wired headphones will be better than that of wireless models. However, there is one exception. If both your media player and your headphones support AptX Bluetooth technology, you will notice very little difference in audio quality between wired and wireless. Unfortunately, at this time, support for this new audio profile is hard to find outside of high-end models. The best choice for you will depend on your intended usage. Computer or video game console headphones often feature advanced audio settings and other options that make use of the USB connection. hile there are adapters to plug 3.5mm jacks into USB ports, converting USB to 3.5mm is not possible in most cases. Headphones with 1/4 inch adapters tend to be high-end models. While most portable devices will not offer a jack of the same size, adapters are easily found for a few dollars to connect them. The adapter will not impact audio quality in any way. However, there could be other points to consider that we will cover later in the guide. The 3.5mm connector is by far the most popular. This is the audio jack that you will find on the majority of smartphones, MP3 players, computers and stereo systems. Just like 1/4-inch adapters, should you need to convert it to another size, cheap adapters will do the trick. With the basics out of the way, we can move on to the how’s and why’s of what makes a great pair of headphones. While intended usage will also influence your final decision, these guidelines will help to de-mystify some of the facts and figures you might find in headphone descriptions. While we won’t get deep into the science, sounds are measured using frequencies. Higher frequencies are your higher pitch sounds, such as cymbals in music or shattering glass in an action movie. Lower frequencies are your rumbling bass notes, from explosions to the thump in your favorite dubstep track. Most people can only hear audio between the ranges of 20 hertz and 20,000 hertz. Any audio outside of this range might not improve audio quality at all. However, if the response range is smaller than above, you might find the audio sounds dull or tinny. There are a number of companies that are happy to tell you that their premium gold-plated connections will revolutionize the way you listen to music. This has become a popular marketing gimmick for any type of cable, not just headphones. While it does have a few benefits, zero of them have anything to do with audio quality. Where gold-plating provides benefit is corrosion resistance. Over time, especially if you’re using your headphones during workouts or outdoor events, you’ll nick or scratch your headphone connector. When this happens, moisture can tarnish the surface and cause the connector to fail. While gold plating helps to reduce this, it isn’t necessary and many nickel-plated adapters offer better corrosion resistance at cheaper prices. When considering a pair of headphones, always consider where and how you plan to use them. While a long cord might be nice for your computer or home media player, it’s less than ideal for your morning jog. Longer cords mean increased chances of tangling and audio interference due to the cord rubbing against other things. This is common with earbuds. While a snagged cord might result in something as simple as having to pick up your headphones, it could damage the audio jack on your device. This is often an expensive repair. Finally, consider what is most comfortable for your intended usage. If you can, visit a local electronics or hi-fi store and try out a few pairs of headphones. If you are considering a pair of headphones for extended use, over-ear headphones tend to offer the greatest comfort. In-ear designs are great for active use but might leave your ear canal sore after long periods of listening. On-ear designs can rub the outer ear and cause irritation. Each type of headphones has distinct advantages and disadvantages. In many cases, your best option is to have specific headphones for differing uses. Planning for this while shopping will help you find just what you need without blowing your budget. Now, we get into the finer points of choosing your headphones. If you’re not an audiophile or you are looking for a budget set of headphones, you can skip to the recommendations section below. However, if you’re wondering what makes some of the premium headphone models out there worth their cost, this should shed a little light on things for you. Noise cancelling headphones are popular with travelers and frequent flyers. If you are looking for a pair of noise cancelling headphones, be sure to check the technologies in use before dipping into your wallet. In general, there are two types of noise cancelling headphones: active and passive. Passive designs are often enhanced closed design headphones. By blocking sound from your surroundings, you hear less over your movies or music. However, these tend to fail for anything louder than basic environmental noises. For serious noise cancelling, consider an active design. While these headphones are often more expensive that traditional designs, they offer outstanding performance. They work by using a microphone to detect noise in your surroundings and create a corresponding noise that plays back through the headphones. The results are effective and a feature that companies such as Bose have built a reputation around. Open headphone designs allow noise from your environment to mix with the noise from your headphones. If you’re listening to music in a noisy environment, you will notice. Likewise, if you are blasting your favorite tracks, anyone nearby can hear it as well. While not guaranteed, if you are looking for punchy bass, closed designs will outperform open designs when the headphones are of a similar quality. However, if you listen to music with fine details in the upper ranges, such as acoustic or classical music, open designs will often outperform comparable closed designs. One noticeable benefit to open headphone designs is improved comfort during extended use. Closed designs often trap heat and moisture. If this is something to which you are sensitive, an open design will allow your ears to breathe and wick away moisture during all-night jam sessions. Many popular headphone manufacturers, such as Beats Audio, champion their headphones’ ability to provide deep, rich bass. While some of this has to do with manufacturing quality, most of it is due to something known as Digital Sound Processing, or DSP. DSP is software or hardware embedded in the headphones that alters the way that the audio is reproduced by the speakers. There is a variety of companies that offer this technology. However, there are many who consider it a gimmick. While most of this is up to your listening preferences. DSP technologies might sound great with your favorite club track or movie but they can annihilate other types of music, such as jazz or classical. You might have heard that you need an amplifier or other equipment to enjoy your headphones. In most cases, this isn’t true. Unless you are using a high-impedance (and likely expensive) pair of headphones, your mobile phone, tablet or computer has plenty of power to make them sound great. If you find that your headphones are not loud enough for your enjoyment, consider a closed headphone design instead of louder headphones. Closed designs eliminate background noise and make it easier to hear your music and movies without risking damage to your ears. While outside the scope of this guide, Headwize offers some excellent advice on preserving ear health and hearing. Burning in Your Headphones--Fact or Fiction? Burning in your headphones is the process of playing audio through them to loosen up the drivers and enhance their sound. In its most simple form, it involves plugging in your headphones and playing music through them for 100 hours or so. While there are avid supporters on both sides of the debate, there is little evidence to either prove or disprove the practice. So What Type of Headphones Are Best for Me? If you can’t get enough bass in your music, a pair of over-ear headphones with a closed design is the way to go. With larger drivers and noise isolation, top end designs can really thump. For even more bass, consider a pair of headphones with DSP designed to enhance bass response. This type of music often involves a wide range of audio frequencies. In the case of classical music or soundtracks, it is also dramatic. Over-ear open designs often offer the best frequency ranges. The open design helps to expand the sound stage and breathe life into the higher frequencies. If you’re looking for a pair of headphones that will keep up with your fast-paced lifestyle and take a few hits, earbuds are likely your best option. They will stay in place during strenuous activity and handle being tossed in a gym bag or jacket pocket gracefully. You live for the explosions in your favorite action movies or need to hear every footstep of your opponents in your online games. You want big sound without blasting out your neighbors or family. In this case, closed design over-ear headphones are often a great choice. High-end models with simulated surround sound or microphone inputs can add performance and value depending on your intended usage. You have a discerning ear. You don’t just hear music, you feel it. Hissing, popping or poor pitch sound out to you like a siren. You’re also not afraid to spend a little extra to get the perfect sound. If this sounds like you, your ideal headphones will be an open design, high impedance over-ear headphone model with a pre-amp. There you have it! Everything you need to know to go out there and find the headphones of your dreams. If you have any further questions or if we missed something in our guide, be sure to drop us a line by email or social media and let us know. Noise Cancelling Headphones: What Are They & How Do They Work? 0How to remove earphone icons on my Samsung phone? 1Will Samsung Galaxy S6 headphones work on the Samsung Galaxy S4?